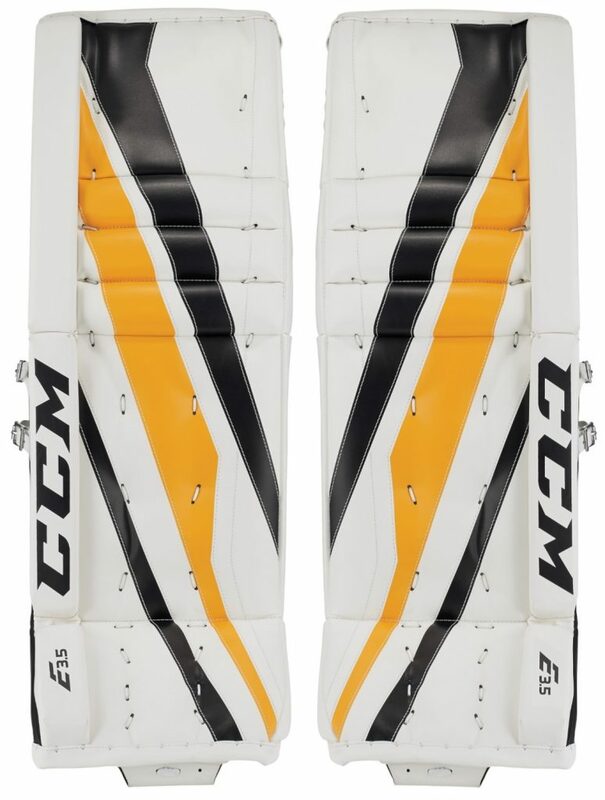 CCM E-Flex E3.5 Junior Goalie Leg Pads | Sports Etc. Featuring a tight fit one-calf strap, the Extreme Flex E3.5 leg channel/calf strap option is lightweight with a closer feel to the leg for better control. React quickly with the new Extreme Flex E3.5 goalie pads. New Speed Skin Technology helps to provide quick gliding and explosive power pushes for maximum speed in the net. Sports Etc Performance To Value Rating– 9 out of 10. 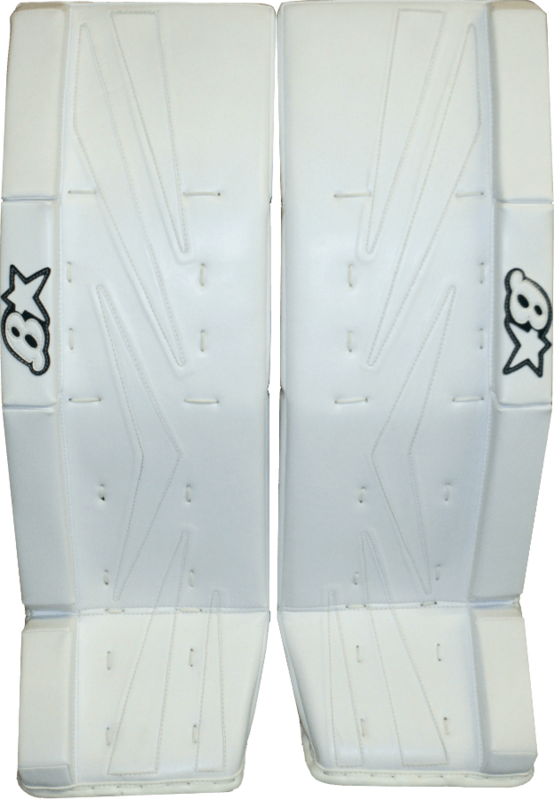 The traditional knee roll design provides a flexible pad, which is great for any butterfly goalie that is looking for an enhanced “feel” of the puck. 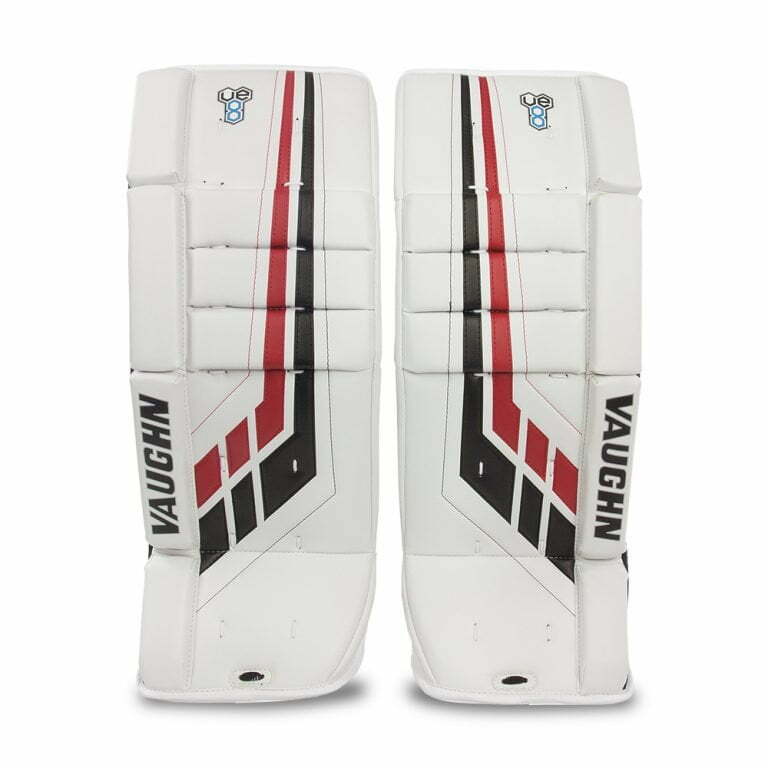 Excellent for any junior sized goaltender.